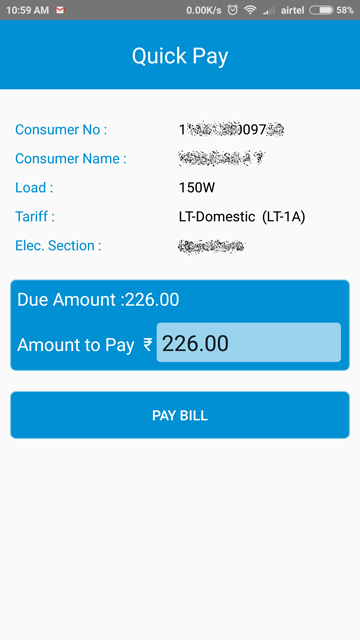 KSEB has launched their official android app for electricity bill payment. The official KSEB mobile app is available in Google Playstore. Follow below link to download KSEB mobile app for android phones. KSEB Quick pay without registration. 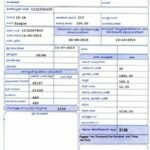 KSEB bill payment for registered users. 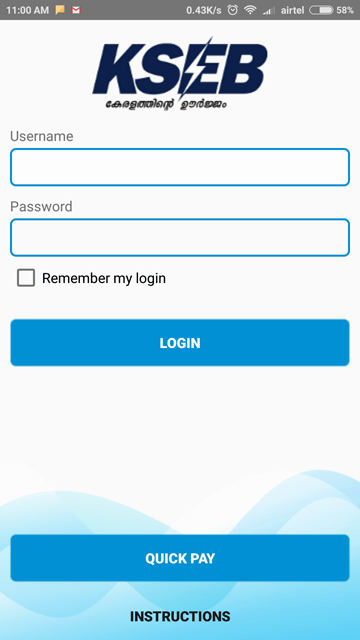 If you are a registered user, you can use your KSEB user name and password to login in KSEB mobile app and make electricity bill payment. 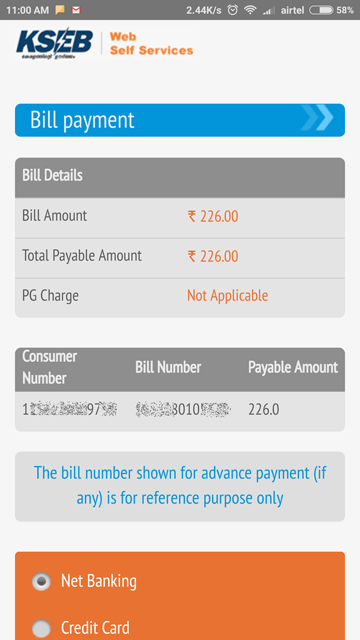 Otherwise you can use quick pay method in KSEB mobile app for KSEB electricity bill payment. For using this method, tap Quick Pay on the bottom side in the first screen of KSEB mobile app. After tapping quick pay button, a new screen will appear. 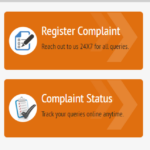 In this screen, fill up your mobile number, KSEB 13 digit consumer number and your email address. Mobile number and email address are for receiving notifications after successful payment of KSEB electricity bill. After filling up the details, tap Submit to Pay. You can now view your outstanding bill amount and some more details. If you are planning to continue with KSEB bill payment, tap Pay Bill. A progress screen will be displayed. After the progress screen, a payment mode selection screen will be displayed. 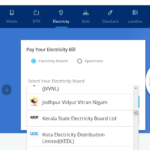 You can select either one of this payment methods for KSEB electricity bill payment. After selecting desired payment method, tap Pay Now button in the bottom. 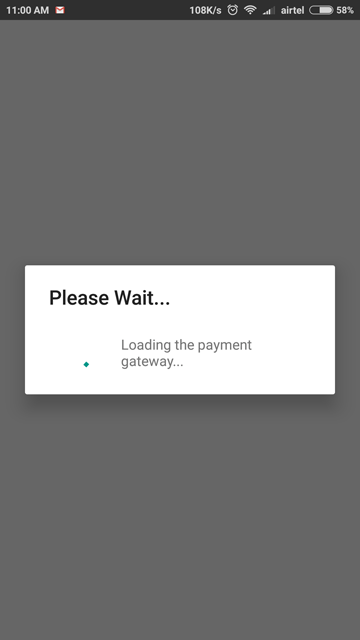 After that, you will be redirected to the payment page of the payment mode you have selected. Complete the transaction carefully. 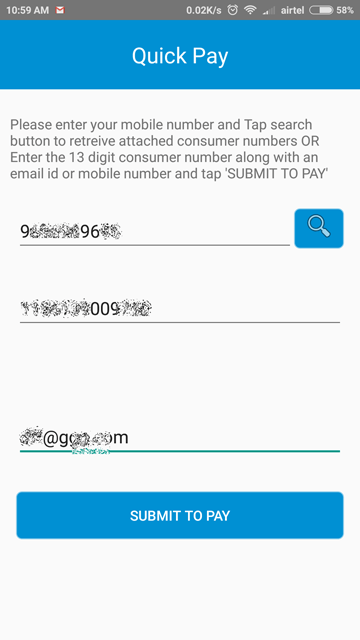 After successful completion of transaction, you will receive payment success notifications in your mobile number and your email address which you have filled earlier.